Chai tea is probably one of my favorite types of hot tea to drink. There is just something so cozy and warming about having a cup of chai with a little milk and sugar. Of course, finding a good chai tea blend is not always the easiest thing to do. Many blends include black pepper, which is not really the way that I like my chai. I prefer it to have a lot of warming spices in it like cinnamon, which is why I chose this pukka blend instead of the other organic blends at the store (they all had black pepper in them). 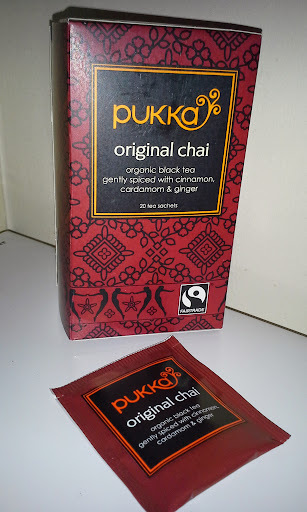 As you can see in the photo, the primary ingredients in the Pukka original chai organic tea blend include cinnamon, ginger, cardamom and black tea. This is exactly the type of ingredient list that I like to see in my chai. When I made the first cup, I was a bit surprised by how overpowering the cinnamon is in this one. The flavor was actually a bit closer to regular cinnamon tea, though it was still quite tasty. Once I added in a little sugar and milk though, it more closely resembled the chair tea taste that I was looking for all along. This blend may actually be my new favorite when it comes to chai as Numi was previously my go-to brand for this tea type. I am a big fan of mint green tea, but have a hard time locating tea bags that are not just mint tea. Not only do I enjoy the flavor of the mint and the green tea together, but I also really want that caffeine kick that green provides compared to just plain mint tea. 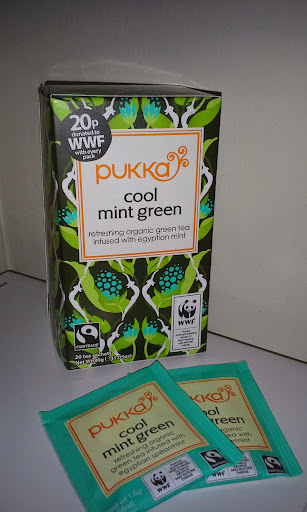 Normally, I just buy the bottled mint green tea at Whole Foods, so I was pretty excited to come across this organic mint green tea by Pukka. Both the flavor of the mint and the green tea are very pronounced in this brew. It’s actually the perfect ratio of each and results in a very refreshing cup of tea. Though I finished the entire box by drinking it as hot tea, I have no doubts that it would make a really great cold mint green tea. The Egyptian mint flavor is very nice and the organic green tea is clearly of very high quality. I found that steeping did not take quite as long as suggested on the packaging, but that could be due to me using the bags just in a mug instead of a tea pot. This is one tea that I cannot wait to buy again. I found it while traveling and really hope that I’ll be able to purchase it once I am back home. 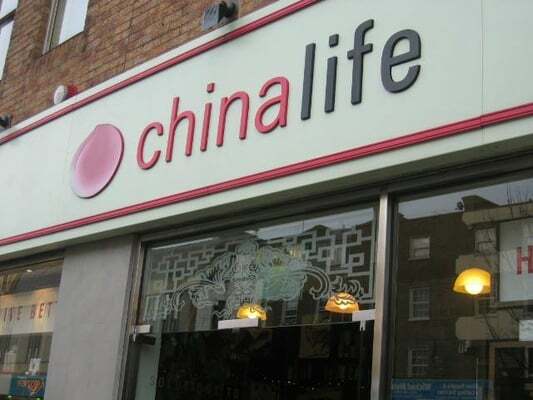 While in London recently, we were wandering around our favorite neighborhood of Camden town when we came across the tea shop China Life. This is a really interesting shop as they have your standard tea bar and sell loose-leaf teas and tea-related gadgets, but they also offer acupuncture, massage and related services. With so many different teas available, there are lots of options to choose from when you’re ready to order at the tea bar. You can view it on their website here. We both got milky teas (cold) and they were beyond excellent. One that we ordered was the Silk Road, which you can find on their Signature Cocktails menu, and the other was a special of the day that included coconut and caramels flavors in the tea. When your tea is served it comes with a little round yam cookie. While this type of cookie may not sound like the most appealing little treat to have with your tea, it was actually surprisingly tasty. They were so good, that I’m thinking about ordering some from their website and having them shipped to me back in the U.S. If you are local, then this is a great place to shop for gifts for friends and family. Not only can you select from their available teas and blends, but you can make your own blends. They also have gift sets that you can buy for people who enjoy drinking tea. And, they have a nice collection of tea pots and related accessories. 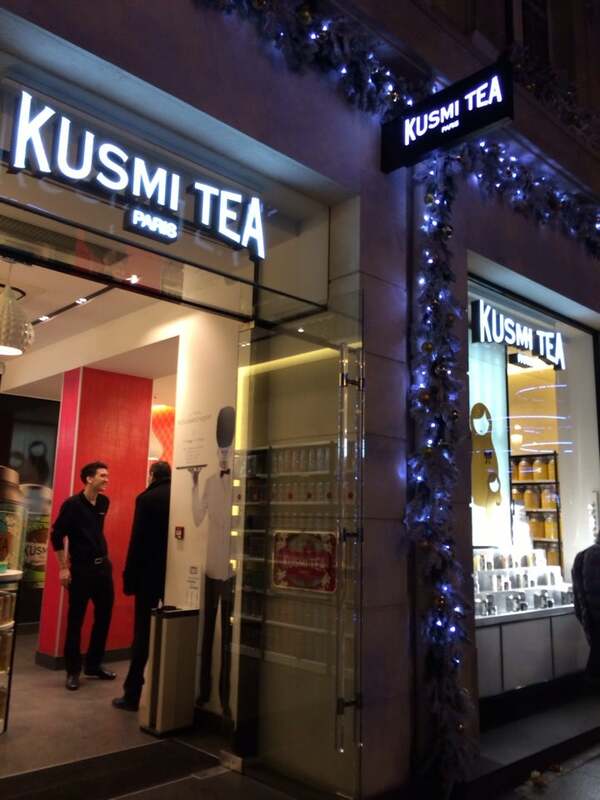 If you find yourself strolling down Champs-Élysées in Paris, then the Kusmi Tea at 71 avenue des Champs-Élysées will probably catch your eye (like it did ours). This tea shop has a retail store on the lower level where they have their branded teas for sale and in the upstairs area is a cute little cafe – Le Cafe Kousmichoff. As you might imagine, the prices in this cafe are bit on the high side, but you do get to look out at Champs-Élysées while sipping on your tea, so it’s not all that bad, eh? The teas in the shop downstairs smell great and there are a lot of different varieties to choose from. However, I do not recall seeing any organic options available, which is truly a shame. Once you head upstairs, you can order a variety of different things in the cafe – including fresh juices, pastries and sandwiches. Since we’d already purchased pastries at the Paul location across the street (definitely recommend! 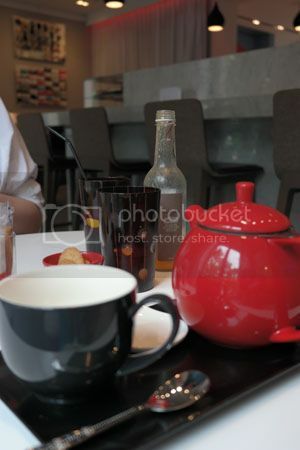 ), we stuck with some juices and a pot of hot tea. This is where the experience starts to go downhill – they will serve you an entire pot of hot tea, but will only give you a single mug for the steep price (seven euros, if I recall correctly). There were two of us, but only one mug and they refused to give us another! No worries though, we just shared that mug. How was the tea? It was fine – not great, but not terrible either. And it’s entirely possible that our experience was tainted after being refused a second mug. Would we purposely return to this cafe for their hot tea? No. Should you check it out if you’re in Paris and in the neighborhood? Only if you want to sip some overpriced tea while gazing down at the famous street below. Otherwise, pick up your hot beverage across the street when you get your delicious French pastries at Paul.